I was busy with various activities that I missed some interesting/exciting FsOTD on Inside Microsoft Dynamics GP blog. I am particularly excited about the last two in the above list; AA Access and Smartlist Designer Export/Import. The gap between Smartlist Designer and Smartlist Builder is slowly (yet steadily) getting filled. While Smartlist Builder is one of its kind, Smartlist Designer now gives customers a lean version of Smartlist Builder that would satisfy most of the requirements. I am happy as a consultant that I now have an improved Smartlist Designer to talk about with customers/prospects. Analytical Accounting User Access Settings – Steve Endow perfectly expressed his (and mine as well) thoughts on this tweet. Can’t agree more. Upon debugging the stored procedure aagCreateTree, I realized that another stored procedure named aagGetCompanyStatus returned this error number 22004. This stored procedure validates the version of Analytical Account and the status of particular company, from where you are trying to create a dimension. In my case, there was no record of this company at all. I finally realized that Analytical Accounting company information was missing on table AAG00104 in DYNAMICS database. I am not sure how and why this could be missing, unless I forgot to run the AA company setup routines (which I did, to my best knowledge). Solution: I had to rerun the AA company setup options again and recreate the records. Just in case, someone faces this issue, make sure that you check AA company setup records. 1. Don’t run Check Links process for AA at this time on versions GP10 and GP2010. 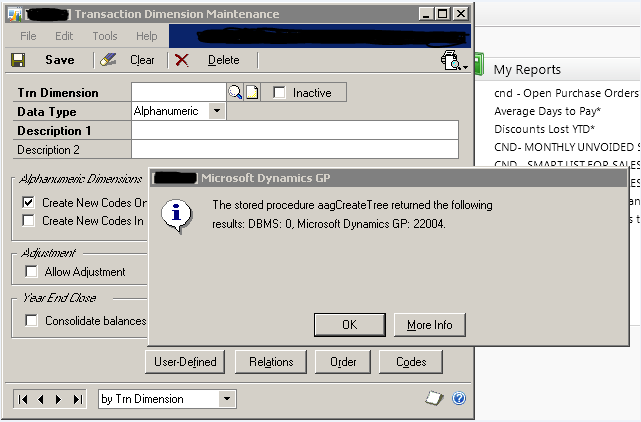 2 Apply latest Service Packs or Hotfixes for Microsoft Dynamics GP (versions 10 and 2010) to get AA related latest fixes. 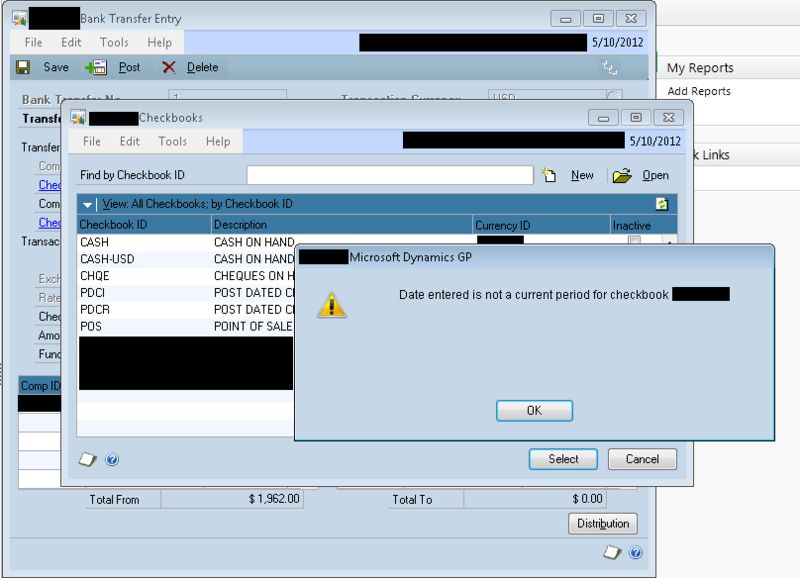 More on this here: Information about Check Links for Analytical Accounting in Microsoft Dynamics GP.